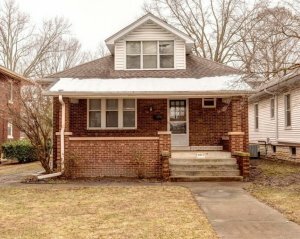 We Buy Houses in Illinois! Call (855) 741-4848 Today for Your CASH Offer! One of the most common challenges faced by homeowners selling their properties is finding enough interested buyers in a short span of time to ensure a quick sale without compromising the expected return on their investment. Every property owner wants to secure a fair value for their house. Likewise, every homebuyer will want to negotiate the asking price. 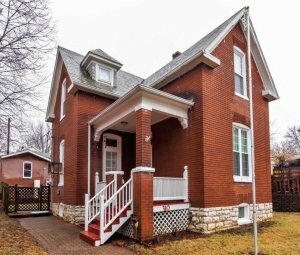 Very few property owners in Illinois are lucky to have several homebuyers expressing interest soon after the house is listed for sale. Most homeowners have to wait for weeks before they get even one interested homebuyer. Many homeowners are compelled to wait for months. Dependable Homebuyers offers the most straightforward proposition to homeowners across Illinois. Express your intent to sell a house, get a CASH offer immediately, consider the price and sell your house directly to us without paying anything in the entire process. We’ll Make You A CASH Offer in 24 Hours! Homeowners in Illinois consider listing their properties on various websites. They put up signs on their yards or driveways. Most homeowners appoint a real estate agent to represent their properties. Real estate agents usually have a marketing strategy and offer other services to facilitate the sale. The problem with this traditional approach is the simple fact that real estate agents are still dependent on the actual homebuyer to complete the sale. Realtors are not buying the properties. They cannot do much to influence homebuyers if they are not interested in a particular property, the specific location or the neighborhood in general, if they have certain preferences that are not being met and if they just cannot afford the asking price. Negotiations ensue and homebuyers are obviously looking at other properties so they may easily choose one that ticks more boxes on their checklist. Real estate agents represent multiple properties at the same time. They will always prioritize the properties that assure them greater commissions. They are more likely to be focused on properties that are an easy and quick sale. No real estate agent will spend more time on properties that are less likely to entice homeowners. This is primarily why real estate agents recommend a plethora of changes, demand property inspections and appraisals, get homeowners to reduce their asking price and charge more money for marketing, advertising and other services they offer. Whether or not these services are of any effect is only for time to tell. Going by the average time taken by homeowners across Illinois to sell their home, the realtors are definitely falling short of expectations. The delay can be painstaking and there is no assurance that the sale price in the end will be as rewarding as a homeowner wants. It is impossible to sell a house in Illinois in one week if you list your property on classifieds, look for homebuyers yourself or get a realtor to represent you. In a rare scenario, you may get one homebuyer interested in your property within seven days of listing your property but you will have to deal with property inspections, appraisals, site visits and tours, negotiations and there is no guarantee that the interested homebuyer will actually purchase your house. It may be casual interest. Even if an interest homebuyer is visiting your property twice, it is by no means an assurance that they will buy your house. The same is applicable for realtors. Many real estate agents keep providing assurances that they are working on the sale but in reality there may be no actual progress. Dependable Homebuyers is now empowering property owners across the state of Illinois to avoid all the traditional challenges. All you have to do is pick up the phone and give us a call or fill out the online form and submit, effectively expressing your intent to sell your house. You can speak with one of our representatives or one of us will call you back after receiving your form. We shall schedule a viewing, which is usually within twenty four hours of receiving the call or the form submitted online. The viewing is followed up with a quote. This is not an estimate or an appraisal. We present a CASH offer! This CASH offer is usually presented within twenty four hours of viewing a property. If you give us a call today and your property is viewed tomorrow then you can have a CASH offer from Dependable Homebuyers by the day after tomorrow. There is no other way you can get an actual CASH offer from anyone in such a short span of time. The way we expedite this process is not confined to making you an offer. 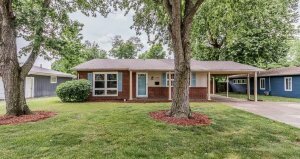 We follow it up with another expedited process pertaining to the actual sale. 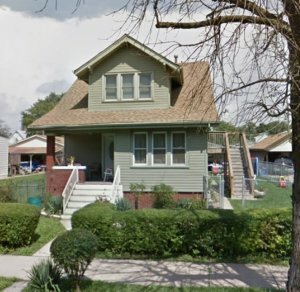 We buy houses in Illinois in a span of seven business days. If you accept our CASH offer and decide to sell your house to us, we will complete the sale in a span of five to seven business days! It rarely takes us longer than seven days to close a deal. Accounting for the entire span of time while factoring in a day or two you may take to make a decision, you can sell your house in Illinois in a matter of ten days to fourteen days. No real estate agent in the state or anywhere in the country will be able to sell your house in a fortnight. No one will get you a CASH offer in twenty four hours. No homebuyer will be able to close the deal and complete the transaction in seven business days. 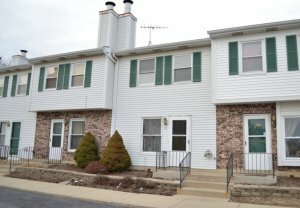 We Buy Townhouses in Illinois! Homeowners usually incur a few expenses while selling their properties. Real estate agents charge a commission. This commission may include the various expenses such as marketing or advertising and other services related to closing the deal. The commission may only be their primary service fee and there would be other costs, from legal to financial services. You may want to go for a sponsored posting on a classified. This will cost money. Property inspections have to be paid for by homeowners. The appraisals are also an expense that you must account for. It is quite common for homeowners to go for multiple property inspections and appraisals. An appraisal done three months back may no longer be relevant. Homebuyers routinely ask for a fresh property inspection and a new appraisal. Homeowners have to pay thousands if not tens of thousands to sell their house. Those who have no other option but to take care of repairs and do some remodeling, renovation or upgrades will be spending more. The financial commitment can easily spiral out of control and this will cause a substantial dent in the return on your investment. Despite all such expenses and the serious delays, there could be other unforeseen challenges. Such hurdles can further delay the sale. It is not uncommon for homeowners to compromise on the asking price even after doing everything necessary and as recommended by the real estate agent to finally convince a homebuyer to make a decision. All these expenses are completely avoidable if you choose to sell your residential property to Dependable Homebuyers. 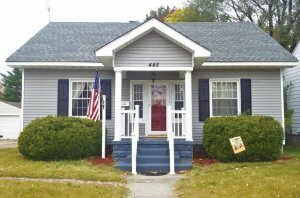 We buy houses in Illinois without charging any commissions. We have no service fees. We pay for all the closing costs, including financial and legal services. We do not need to advertise or promote your property so there are no marketing costs. We pay for property inspections and have our own appraisal. Homeowners pay nothing to Dependable Homebuyers. Even if you do not hire a real estate agent and look for homebuyers yourself, you have to pay for property inspections and appraisals. There will be legal fees and closing costs. You can avoid all such financial obligations by simply selling your property to us and you can do so directly. We do not operate through any real estate agent or network of realtors. We do not have affiliates or any partners representing us in any specific area. You deal directly with Dependable Homebuyers and get a straightforward proposition to sell your house. Property owners have to share as many details as possible to make their listing more relevant. You ought to describe the property, choose a type that best defines your house, mention the square footage, detail the premise along with information about every room and fixture, highlight the noteworthy amenities and discuss a fair bit about the exact location. The online listing is essentially a sales pitch. You have to share all the relevant information being as truthful and lucid as you can be but you must also be able to entice enough homebuyers to generate the required traction. Homebuyers will simply read the details and many would just move on to another listing. You may not even realize which information or what detail is hindering your sale. Not every property is located in the most sought after neighborhood. Not every house specifically satisfies the needs of innumerable homebuyers. Your residential property may not be the dream home of most buyers looking for a house in your area. The contrary may also be possible but it is the potential negative fallout that one must plan for. Even if you succeed with your online sales pitch, homebuyers who come by to check out your property will find something or the other to be uninterested. This is often countered with a pledged renovation or remodeling. Real estate agents are quick on their feet to suggest such changes, not just to help the homebuyer and the property owner but to ensure a sale that will secure their own commissions. Your property may or may not be in an ideal condition. Your property may be in any neighborhood. It may have a number of strengths and weaknesses. All such realities will either help or impair the sale. Fortunately for all homeowners in Illinois, none of these variables matter when we buy houses. Dependable Homebuyers does not have a stringent criterion, either pertaining to location or the type of house. We also do not worry if a house is not in an impeccable state. 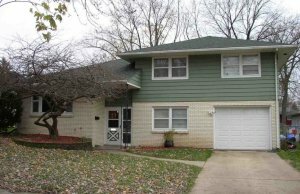 We have bought all types of houses across the state of Illinois. 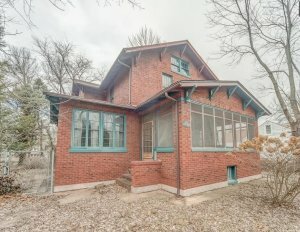 We have purchased swank houses. We have purchased dilapidated houses. Our decision is not influenced by any such factor that is a serious issue for general homebuyers. Dependable Homebuyers is not looking for a dream house. We are a nationwide company that deals in residential properties. We buy all types of houses in any location and regardless of its present state. The merits and demerits of a house will always influence the price but we will not be disinterested in your property when you express your intent to sell it. We will present a CASH offer to you and you will have absolute freedom to choose whether or not you want to sell your house to us. You can turn down our offer or you can go ahead and sell your house to us in a span of seven business days. That is all the time we need to close the deal and complete the sale. Call Today (855) 741-4848, Get Your CASH Offer in 24 Hours! Dependable Homebuyers will have a cash offer for you in twenty four hours. This is a free and nonobligatory CASH offer! You do not pay for our viewing. You do not pay for the appraisal. You will get the CASH offer and have all the time in the world to decide. There is nothing you stand to lose. In the worst case scenario, you may not like the cash offer and can turn it down. You will still get a fair idea of the reasonable price that you can sell your property for if a professional inspection and appraisal is done today. In the best case scenario, which is more likely, you will have a real offer in twenty four hours without spending any money and you will be able to sell your property in seven business days. Don’t Delay! 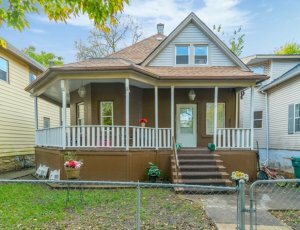 We’re ready to give you a fair, cash offer for your Illinois property immediately. No matter the condition, no matter the situation – you can sell your house fast without listing with a real estate agent. Fill out the form below for your no obligation cash offer!